Overcoming these personal challenges, Nick discovered his purpose in life and understood that he himself was the only one who could determine his path in life. This inspirational individual had travelled the world since his first speaking commitment at the age of 19, communicating with millions of people from all walks of life. He is now a married man and father, sharing his message of dreaming big and success without limits all over the world. 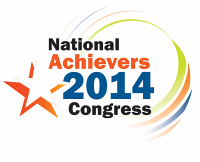 This event also features Brendon Burchard, a legendary online marketing and branding strategist. Brendon is the man who will help you monetize who you are and what you know through books, coaching and online courses. You will learn effective marketing strategies that work not just for you, but for his clients over 70 countries, both top 500 companies and top universities in the world. This is an inspiring and motivating 3 days seminar you can’t afford to miss! 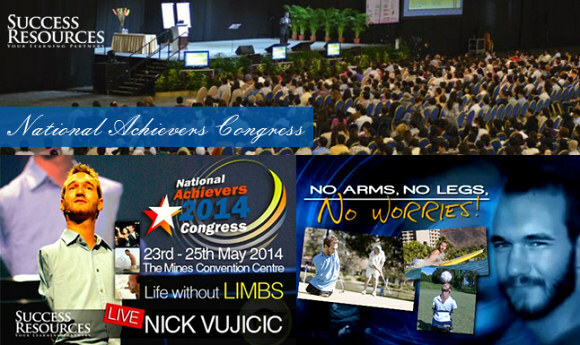 Meet Nick and other world-class speakers like Brendon Burchard, John Burley, Tom Hopkins, Andrew Matthews and more in person in Malaysia from 23th – 25th May 2014 at MIECC – THE MINES. Call Amanda at 016-2133 855 to REDEEM Your Ticket NOW! Enjoy this LIMITED TIME OFFER to First 97 CALL IN customers. *Valid till 18th April 2014.